What's New for 2018 Lincoln MKX? 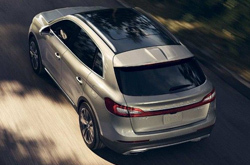 The 2018 Lincoln MKX is a luxury crossover that is unchanged for the current model year. The Premiere entry-level trim features plenty of luxury starting with dual-zone electronic automatic temperature control so you and your front passenger can set your own comfortable environments. The SYNC® 3 infotainment system connects to over 150 channels from SiriusXM® Satellite and is controlled by an 8-inch touchscreen. Support for Apple CarPlay, Android Auto and Bluetooth® allows for wireless integration with a compatible smartphone. Outside, 18-inch wheels connect this front-wheel drive to the road while chrome adds a flourish to the dual exhaust tips. In the Select trim, you can load and unload the rear more easily even if your hands are full: just kick under the rear bumper and the Hands-Free Power Liftgate opens automatically. To ensure your visibility when the sun is out, LED Daytime Running Lights are added to the front. Inside the leather-upholstered interior is ambient lighting and wood trims like Espresso Ash Swirl and High-Gloss Brown Swirl Walnut. In the Reserve trim, when you need to feel the wind in your hair, open up the Panoramic Vista Roof®. If the sun gets too hot, you can activate the power sunshade. 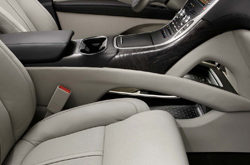 You can store the settings in memory for the heated and cooled driver side and its power lumbar. With the Adaptive High-Intensity Discharge headlamps, you'll see more of the road and around curves more quickly because the illumination aims in the direction of your turn. The 3.7-liter V6 depends on Twin-independent Variable Camshaft Timing to boost performance to 303 horsepower and 278 lb.-ft. of torque and improve fuel efficiency to an EPA-estimated 25 MPG on the highway and 17 MPG in the city. Electric Power-Assisted Steering makes the wheel feel easier to control at low speeds and firmer at high speeds. If you opt for available Intelligent All-Wheel Drive, you can count on optimum traction as sensor constantly monitor road conditions to prevent wheel-slip. 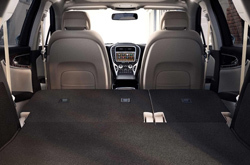 The Lincoln MKX includes several innovative safety features. Lane-Keeping System alerts you if you meander out of your lane without engaging a turn signal. It can then nudge the steering so your SUV goes back in line. Blind Spot Information System make lane changes more convenient by telling you if a vehicle has entered just beyond your peripheral vision. Enhanced Park Assist helps you with parking by detecting and steering you into tight spots as you control speed and shifting. A rearview camera projects what's behind you onto your dashboard screen when you back up. If a vehicle tries to cross your path, Cross-Traffic Alert tells you. An upgrade to the 360-degree view shows a bird's-eye view of your surroundings that is virtually created from cameras around the exterior. 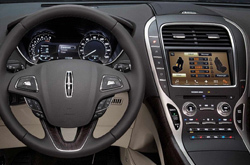 The 2018 Lincoln MKX offers far more amenities than detailed here. 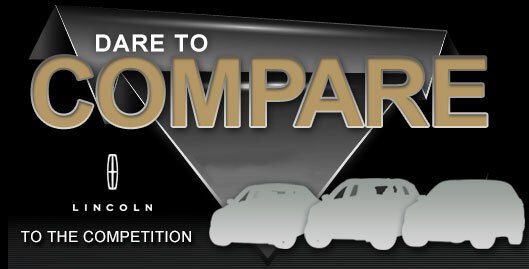 To find out about them in depth, take the SUV for a test drive by coming to Joe Myers Lincoln. Please call 833-210-3434 for further assistance.